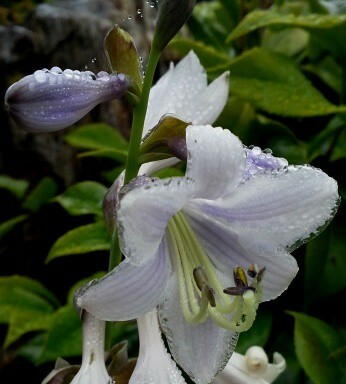 Categories: Phall Photos | Tags: dew, flowers, secret garden | Permalink. Diamonds for you, darling! 🙂 Hope you are healing well and I am so glad to hear from you. The picture on here is fantastic Patti but the slideshow is stunning. So many exotic plants alongside ones I know but in much deeper colours. It must be fantastic to see it as a whole and know your hard work id responsible for all that. I’ve been fighting insomnia, up almost 24 hrs, so I got lazy and left plant names off post. I will try to fix that next time I’m alert. Nothing really exotic, but close ups with dew can sure make even basic flowers look exotic. So glad you liked them, David. I have to give my friend/neighbor, Greg, a lot of the credit; he funds most of it and does a lot of the heavy work. It is his property, so I think we have a fair trade off. The slide show was fantastic! Good to see you again! So glad you enjoyed this magic, Curt. As always, thank you for stopping by and leaving a note.